This past summer I spent some time with Grant Sabatier, the founder of Millennial Money. I must say, I was impressed, something that’s not easy to do with me. We chatted about his book that was to come out in February and he gave me a copy. I read it over the next several days and then had to sit on it for a few months until it released — which is now tomorrow. That’s why I’m sharing it with you today. As you have probably noticed, I don’t do book reviews — or at least more traditional book reviews. If I find a book I like I either cover some aspect of it that interests me (like I did with the series of posts from Everyday Millionaires ) or ask for an excerpt I think ESI Money readers will like (like The Characteristics of Successful Investors from The Next Millionaire Next Door ) and let the book speak for itself. The reason I do this is that traditional book reviews bore me to death, and if I’m bored it will surely come out in my writing. Today I’ll be taking option #2 and letting Grant’s book speak for itself. We have an excerpt from early in the book (the start of chapter two — titled “Time is More Valuable than Money, Why You Can and Should ‘Retire’ Early”) that sets the stage for what the rest of the book is about. Note that it’s probably very basic information for most ESI Money readers. But I wanted to give you a taste from early in the book so you could see the foundation everything else is built on. Plus my guess is that if the book is not for you that it’s for several people you know. More on that later. The excerpt is reprinted from Financial Freedom by arrangement with Avery, a member of Penguin Group (USA) LLC, A Penguin Random House Company. Copyright © 2019, Grant Sabatier. You can get Financial Freedom: A Proven Path to All the Money You Will Ever Need at Amazon, at the book’s website, or at your local bookstore. After the excerpt, I’ll come back, wrap up thoughts from the book, and include a few other comments for you to consider. The average person has approximately 25,000 days to live in their adult life. If you’re reading this book, you likely need to trade your time for money in order to live a life that is safe, healthy, and happy. But if you didn’t have to work to make money, you’d be able to spend that time however you wanted. No one cares about your time as much as you do. People will try to take your time and fill it up with meetings and calls and more meetings. But it’s your time. Your only time. This book is designed to help you make the most of it. Make money buy time. The goal of this book is to help you retire as early as possible. When I say retire, I don’t mean that you will never work again, only that you’ll have enough money so that you never have to work again. This is complete financial freedom—the ability to do whatever you want with your time. If you want to “retire” sooner rather than later, you need to rethink everything you’ve been taught about retirement and probably most of what you’ve been taught about money. As a society, we have collectively adopted one approach to retiring: get a job, set aside a certain portion of your income in a 401(k) or other retirement account, and in forty-plus years you’ll have enough money saved that you can stop working for good. This approach is designed to get you to retire in your sixties or seventies, which explains why pretty much every advertisement about retirement shows silver-haired grandmas and grandpas (typically on a golf course or walking along the beach). 1. It doesn’t work for most people. 2. You end up spending the most valuable years of your life working for money. 3. It’s not designed to help you “retire” as quickly as possible. We’ll start with the first problem. To illustrate why traditional retirement advice doesn’t work, I’d like to introduce you to Travis. Travis is an old friend of my parents, so I’ve known him for a long time. Back in 2012, when I was already well into my quest to become a millionaire by thirty, I ran into Travis at a holiday party thrown by another family friend. While schmoozing with the other guests and snacking on Virginia honey ham in my festive holiday jacket, I struck up a conversation with Travis, who had heard (via my parents) that I was thinking of starting a business. Travis and I typically see each other only once a year at this holiday party, so he had no idea that I’d made almost $300,000 in the past year by pursuing a whole bunch of opportunities: building websites, running ad campaigns, flipping domain names, selling mopeds, and various other things. Travis was about forty-five at this time and had been working for twenty years. I asked him how he had decided to save 5 percent of his income for retirement back in his twenties. I was speechless. By this point I had read hundreds of books about investing and personal finance, and I knew that, despite his confidence, Travis was probably never going to be able to retire, let alone in the next ten years. I don’t have access to Travis’s financial statements, so it’s possible he has some savings, income, or assets that I don’t know about, but let’s assume all he has is his income and whatever he’s set aside for retirement since he entered the workforce. Travis is a project manager at an energy consulting company. I don’t know what he takes home, but according to websites like PayScale and Glassdoor, he probably makes about $60,000 a year. Even though I don’t know his exact salary, I know a lot about what Travis spends his money on because my parents have known him for a long time. In the past three years, he has bought a new house (for at least $500,000), redone the kitchen and put an addition on the new house (for at least another $150,000), and bought not one, but two new cars. By outward appearances, the dude is living like a king, but based on what he’s likely earning, he’s probably living on an insane amount of credit to afford this lifestyle, even when you factor in his wife’s income. She works in a similar role and likely makes about the same amount of money as Travis. Neither Travis nor his wife come from money, so a big inheritance to offset their spending is unlikely. Let’s take a quick look at the numbers. If Travis has been saving 5 percent of a $60,000 annual salary, that means he’s saving about $3,000 per year. Even if he’s been making $60,000 a year since he was in his mid-twenties (which is unlikely, since incomes usually rise over time), he would have set aside only $60,000 total by now ($3,000 × 20 years = $60,000). If he’s invested that money in his company’s 401(k) and his company has matched the standard 3 percent of his contribution over that period, he’d have an additional $36,000 saved, for a total of $96,000 (3 percent of $60,000 = $1,800 × 20 years = $36,000). Thanks to the magic of compounding (see the box on page 22), any contributions he’s made will have grown for as long as they’ve been invested. We can’t know exactly how much his 401(k) would be worth without knowing what specific assets (i.e., stocks or bonds) he has invested in, but we can be fairly certain that it’s worth more than his original investment. If Travis has been saving $3,000 per year, and that money has been growing at the average 7 percent annual rate (see box, pages 22–23), he would have $142,348 after saving for twenty years. This is certainly a lot of money, but it’s not enough to live on if he plans to retire by fifty and lives into his seventies or eighties. And this assumes he was smart and put his money in a total stock market index fund, which tracks the performance of the entire stock market and is therefore most likely to generate the average 7 percent return over time. If he didn’t, he would most likely have even less saved. I don’t mean to pick on Travis. In fact, most Americans approach retirement the same way he does. As of 2016, the median household income in the United States is $57,617, and the average American is saving only 3.6 percent of their income per year. That means the average American household is saving $2,074 per year—even less than what we assumed Travis is saving. As mentioned in the last chapter, the average millennial is saving between 3 and 5 percent of his or her income, which, based on the average millennial income of $35,592, equals about $1,067—$1,776 per year. For simplicity’s sake, let’s round that up to $2,000 a year. Saving $2,000 per year growing 7 percent per year equals $470,967 in forty years. While $470,967 is a lot of money, keep in mind that due to inflation, which is unpredictable, $470,967 likely won’t have the same purchasing power in forty years that it does today. Over the past decade, inflation has been at historic lows and the stock market returns have effectively insulated investors from inflation, but it’s realistic to estimate that inflation will increase over the coming decades, and even a small 2 to 3 percent average increase per year would significantly reduce the purchasing power of your savings in the future. For example, adjusted for 2 to 3 percent inflation, that $470,967 the average American saving 5 percent could have after forty years would have the purchasing power of only approximately $144,378 in today’s dollars. Given that the average life expectancy in America is roughly seventy-nine years (and going up), you would have to make that $144,378 last for roughly fourteen years if you retired at sixty-five. Not factoring in any Social Security benefits you may receive (since we don’t know what state Social Security will be in in forty years), that leaves you $10,312 in 2019 purchasing power to live on per year! No matter how you slice it, we are way behind. If you’re reading this book, you’re probably interested in being in a position to “retire” as quickly as possible. Let’s assume you work for a pretty sweet company that will match any contribution you make to your 401(k) up to 4 percent (many companies provide a dollar-for-dollar match on retirement contributions up to a certain percentage), and you’re already saving 10 percent of your income in your 401(k), so you’re effectively saving 14 percent of your annual income (10 percent from you + 4 percent from your employer). If you do have a 401(k) with an employer match and you’re not contributing any money or not contributing enough money to max out the match, then put this book down right now, log into your 401(k) account, and start contributing at least enough to receive your employer match. It’s completely free money! A 100 percent return! Do it! If you are already saving more than 10 percent, first, congratulations! You are saving more than 99 percent of the United States population! But don’t break out the champagne just yet; you still might not be able to retire. Let’s say you make $50,000 a year. If you started saving 14 percent of your salary ($7,000 per year) at age twenty-five and your savings grow at 7 percent annually, you’ll have about $1,117,589 at the age of sixty-five. Not bad for forty years of saving, but it’s still forty years of saving, and while $1,117,589 might sound like a lot, let’s say inflation increases just an extra 2.5 percent per year. Then your savings amounts to only $416,224 in 2019 purchasing power. That’s still not bad, but because you’ve been investing in a 401(k), you haven’t paid taxes on that money until you withdraw it. If we factor in taxes, that $416,224 could be worth between 15 and 35 percent less, depending on what tax bracket you are in when you start to withdraw the money. All right, enough of that depressing news. You get the point: the first major problem with traditional retirement advice is that even if you follow it perfectly (and most people usually don’t), you still might not have enough to live on when you are in your sixties. When I did this calculation, it blew me away—clearly the popular advice to save 5 to 10 percent of your income is not enough. While I’ll help you calculate your target savings rate later in the book, you should be saving as much money as early and often as you can. If you want to be sure you will be able to retire at sixty-five, you need to start (and keep) saving at least 20 percent of your income from the age of thirty. Here’s how big a difference it makes. If you are making an average of $50,000 over this thirty-five-year period and saving 20 percent, or approximately $10,000, you’d have deposited $349,860 by the time you retire. Factoring in the 7 percent growth rate adjusted for inflation, that investment would be worth $1,615,340. And this is assuming that your salary never increases, which it very likely would over time, so you will have even more money. The very next section begins to address problems #2 and #3 that he listed above — basically that traditional retirement is going to have you spend several decades to get there, if even then. 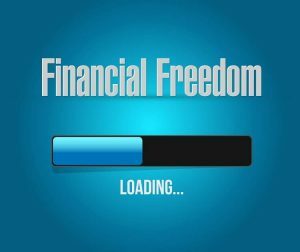 Then he moves into how to become financially free much faster then the standard route. I LOVE that the book is “designed to help you make the most of [time].” Other than Your Money or Your Life , I can’t think of another money book that has this focus. I would best characterized this book as a personal finance guide for millennials. Not that older folks won’t get something out of it, but the style and tips seem best suited for a younger, more aggressive age that has time on their side. It’s also written in a style that I think will appeal to younger readers — which is a huge positive. Many young people will get to page three of a money book and be bored to death. I think Grant’s style will keep them engaged throughout the book. As such, this book would make a perfect graduation gift (high school or college) or great birthday gift for someone 35 or younger — whether they know a good amount about money or not. The book covers a wide range of interesting topics including wise spending, hacking your job, building a side hustle, investing, real estate, and more! If you want to take a deep dive into the book, Rockstar Finance will be hosting a chapter-by-chapter review tomorrow by 14 different money bloggers. You can find that post early tomorrow morning at Financial Freedom Chapter-by-Chapter Book Review. I love the scenario of a 90 year old wanting to trade places for $100 million. I agree that the vast majority of people would not accept that offer because having money with no time does not hold the same value and emphasizes the importance of time which is a finite resource we have. Does seem very well written based on this excerpt and wish Grant the best of luck with the new book. I completely agree with your assessment of the book. I found it hard to read, not because it wasn’t full of good tips and information. For me, the writing style and examples weren’t relevant to me, as a Boomer. I also find his examples of compounding oversimplified. There’s not much room for nuances in his examples. Using a 7% constant return throughout the book in his examples, though instructive, is oversimplified at best. The simple average return is much different than the compound average growth rate (CAGR), which is lower. What’s the point? If people use 7% as gospel, they risk being sorely disappointed. The reality of the market is that returns are far from linear. If an investment makes 100% one year and drops 50% the next, the average return is 25%. The real return is zero percent. The investment is back to its original principle. That’s extreme, but it illustrates the point. No one would boast they got an average return of 25%, would they? Millennials have a much longer time frame to recover. However, most have not experienced anything like the 2000-2003 bear market. Some were just getting started in the last financial crisis in 2008. It will be interesting to see how they fare in an extended bear market (not like Q4 2018). I hope they stick with their plans. The book does a nice job of highlighting the important things about financial freedom (saving more, spending less, side hustles, etc.). That’s the value IMO. Like many of these types of books and blogs, take the lessons pertinent to your situation and leave the rest. So very true!! I think much of the financial industry is corrupt and misleading. FPs and other people always manipulate numbers to spin things to their advantage. So important to take things into your own hands and learn as much as you can. If this book can help the younger generation then it’s a great thing!! I had much the same reaction to the book and wrote as much in my review. Really great for its target audience, with some good info for everyone else. I wish I’d had this kind of guide 20 years ago. What’s nice about that opening is that it leads to such an obvious solution (which is covered later in the book. Brute force savings can dig you out of bad market returns. Even then I think people need to do something on the side. You can’t eat your net worth, need cash flow for that. I enjoyed reading the excerpt. Its the personal stories with the real numbers that make the topic relatable. Its the key, and once you have understood that, the motivation to save, optimize should come naturally, but for many it unfortunately does not – but thats why you’re writing articles like this one. Hey Mr. ESI, I was wondering if there are any recommended videos, Netflix documentaries, etc. that talk about early retirement, financial independence, trading time for money, etc.? My husband isn’t much of a reader, and I love to point him to something like that that could help us both get closer to the right path! 1. Will he listen to audiobooks? Lots of choices there.